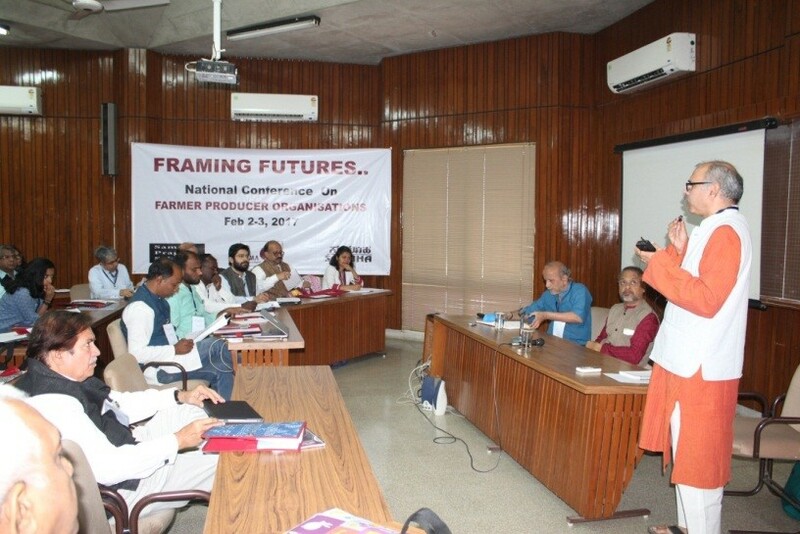 IRMA's Verghese Kurien Centre of Excellence (VKCOE) hosted a National Conference on Farmer Producer Organisations (FPOs) on Feb 2-3, 2017 partnering with Samaj Pragati Sahyog (SPS). The conference had 60 participants representing a rich and diverse mix of managers, staff and promoters of FPOs; academics interested in producer collectives and their managerial challenges and promoters and donors of FPOs and some financial institutions. There were a total of ten sessions covering contemporary challenges of FPOs, managing the FPO ecosystem, issues of managing new generation collectives, embedding sustainability in agriculture and FPOs, operation collectives of agribusiness collectives and financing FPOs. A separate session for rural management students on ‘challenges and opportunities in managing producer collectives' was held in the auditorium on 2nd Feb evening.